We all have mental checklists on how to maintain our homes from season to season, like clearing gutters, trimming shrubbery, changing out furnace filters, checking AC units, and swapping in and out window screens and so on. Yet one of the most important overlooked things you can do to protect home value is to give your home an annual inspection. Spring and fall are two of the best times of the year to protect and prepare your home for winter’s cold and summer’s heat and to keep your home running efficiently all year long. It’s something most of us don’t think about, so we’ll cover the whys and the benefits of an annual home inspection. 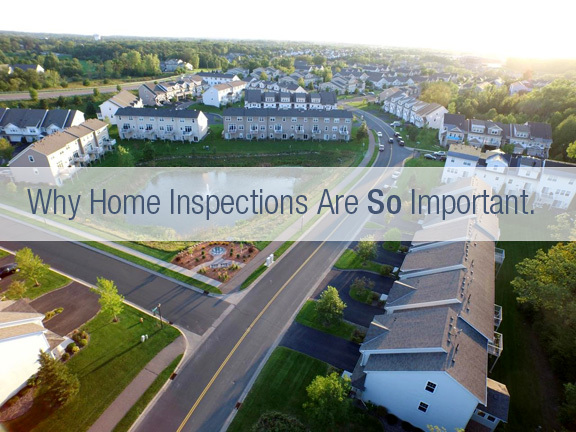 To further show the importance of home inspections, we’ll share some of the issues we discover during the home inspections we’ve conducted for our customers. WHY DO A HOME EXTERIORS INSPECTION? Home exteriors are exposed to the forces of nature every day — heat, cold, wind, sun, rain, hail and snow — causing wear over time. This is especially true for your home’s roof. 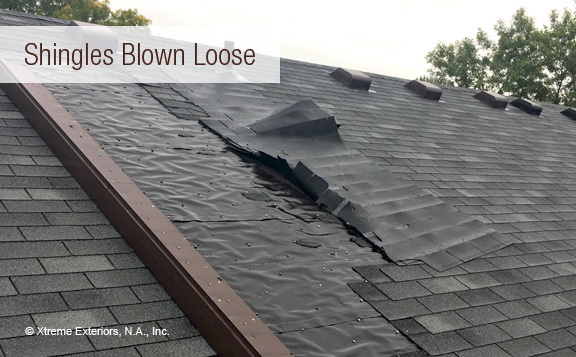 High winds can uplift shingles, rain can penetrate your roof through eroding sealants around chimneys, skylights, and vents. Changes in temperature, from summer’s heat to winter’s snow cause roofs to be susceptible to damage. A home inspection is really important if you are uncertain of the age of your siding, roofing, and gutters. A professional home exteriors inspection can determine the overall integrity of your home exteriors, as well as identify small issues before they become bigger, more expensive problems. WHAT ARE THE BENEFITS OF A HOME EXTERIORS INSPECTION? PREVENTION. A professional home exteriors inspector can pinpoint issues at their early stages. Making repairs sooner than later prevents serious damage that could become difficult and costly to remedy. SAVINGS. Identifying small home exteriors issues and repairing them is far less expensive than fixing major damage caused by problems left to fester, such as leaking and rot. Fixing issues with your home’s exteriors will allow your home to function at its best, which may ultimately result in monthly savings on heating and cooling costs, too. MINIMIZE ICE DAMS. Ice dams can cause considerable (expensive) damage, leaking water into attics, insulation, and interior walls, allowing rot, mold, and mildew to grow. A professional home exteriors inspector can identify any trouble areas that allow ice dams to form and provide effective solutions to minimize ice dams from forming in the future. AVOID HEALTH RISKS. Without a home exteriors inspection, small leaks in your roof or siding can go undetected, leading to trapped moisture that can breed bacteria and mold which can cause respiratory and other health issues. HOME VALUE. If you are planning on selling your home, (or managing properties), an inspection can help keep your home exteriors in good, working condition thus helping to maintain or increase the value of your home. Roof shingles can shed and deposit “granules” into gutters — a sign your roof may be at or near the end of its life. Keeping gutters clean ensures roof water is diverted away from your home and your home’s foundation. 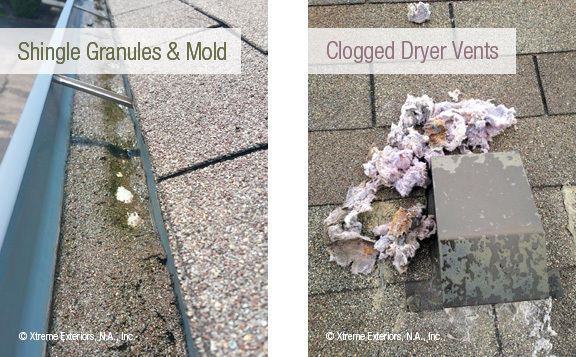 Clogged dryer vents can lead to moist roof sheeting, causing rot and eventual leaks. Homeowners and property managers can’t always see trouble from the ground. A home exteriors inspection can spot issues like loose shingles to repair, preventing leaks and other serious damage. Even a new roof can have problems. 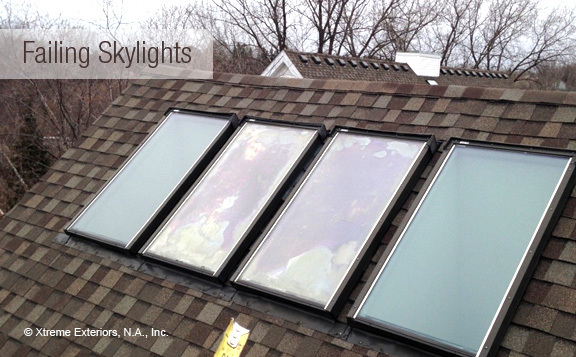 In this case, the middle skylights are failing, allowing water intrusion. Xtreme Exteriors offers thorough, professional home exteriors inspections that help you avoid serious, costly problems and provides affordable home exteriors solutions that add value and quality to your home. How Can Climate Change Affect My Home? Is Your Contractor Covered to Work on Your Home?